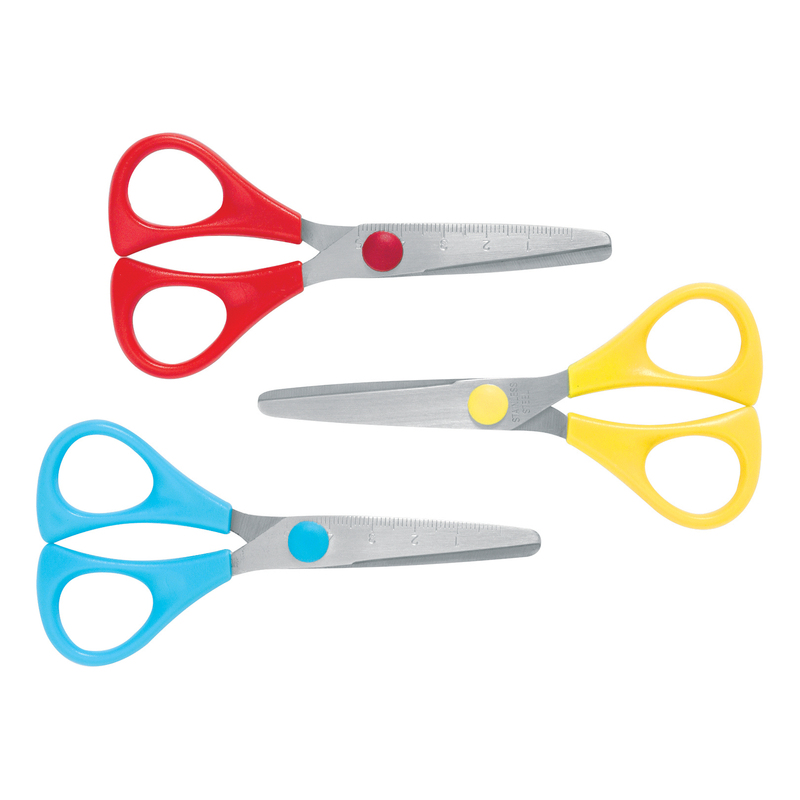 5 Star Office 130mm school scissors. 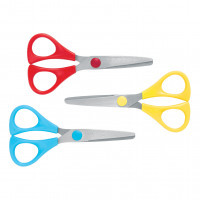 Includes display box of school scissors with stainless steel blades. 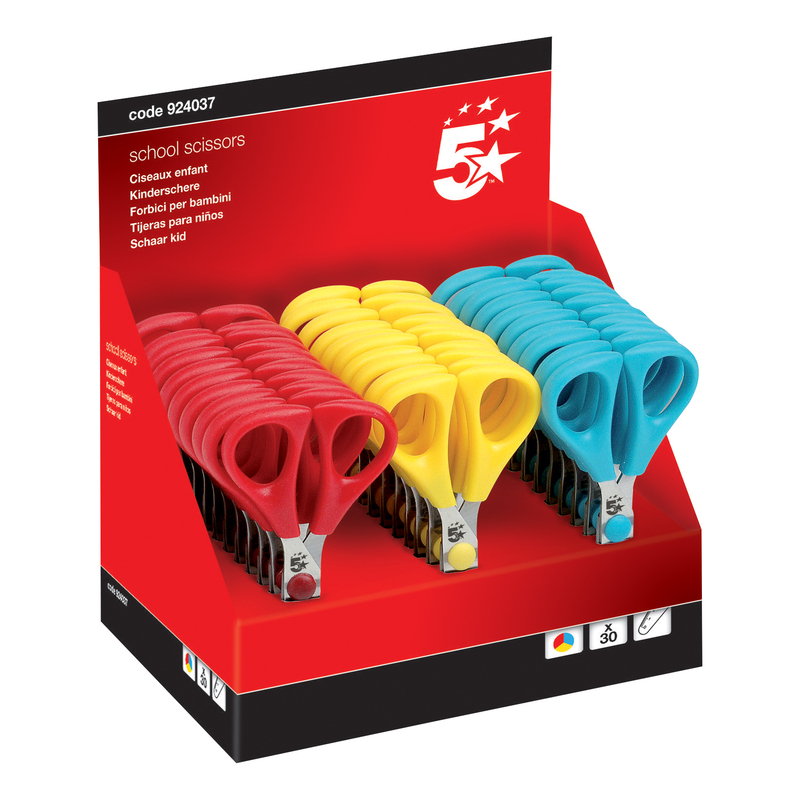 10 each of red, yellow and turquoise.